Extinction is inescapable here. I remember the first time it hit me, standing in a glorious beech forest in South Island ten years ago, looking up at a magnificent old beech tree and thinking “that should have an eagle on it”. On my recent trip up north the massive shrublands around Tongariro cried out for moa, and no tiny flightless wrens scrambled around on mossy trunks. The forests of the Coromandel were deficient in Huia. Even of the species that are not extinct, absence is there. Rock Wrens survive, but there are none near the summit of Tongariro. Saddlebacks survive, but you won’t see them in the Coromandel. 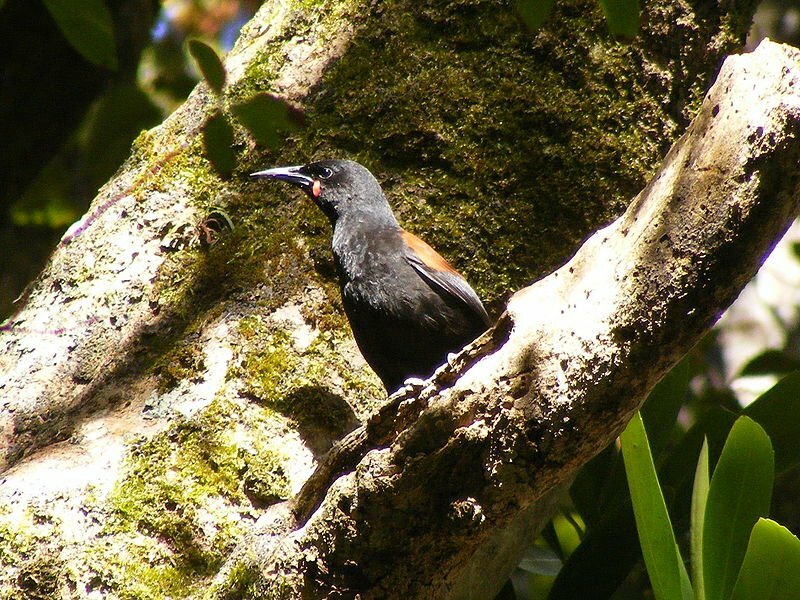 There are no Stitchbirds or Bellbirds in the Kauri forests north of Auckland. More than anywhere else I have ever been, birding in New Zealand is almost defined by absence. The final story I want to tell in the extinctions of New Zealand is that of Big South Cape Island. It is off Stewart Island, which is itself south of South Island. While Stewart Island escaped many of the feral introductions that devastated South island, it did have rats. In 1963, however, Big South Cape didn’t, and like several such islands around New Zealand, it had many birds no longer found on the mainland. In fact, it had two birds no longer found anywhere else in the country. One, the South Island Snipe, represented the last snipe population found around the mainland of New Zealand (several snipe species are found on the far offshore islands). 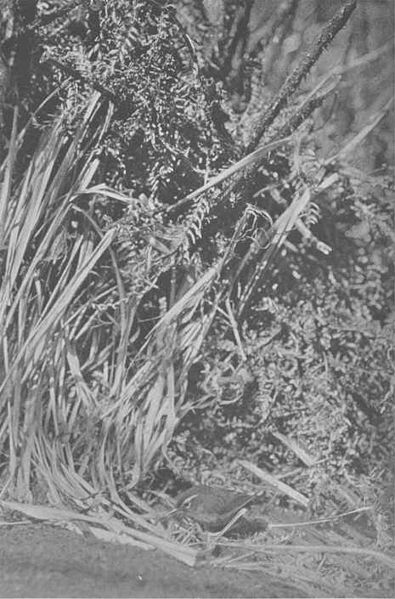 These snipe, of a genus restricted to New Zealand and a few nearby islands, where entirely confined to rat-free islands, unable to survive even the Polynesian rat. The other species, South Island Saddleback, had occurred on the mainland of South Island until the arrival of Europeans. Two other important species occurred on Big South Cape. The island represented the last stronghold of the Bush Wren, a species that had been relatively common on South Island in the 19th century, but by now was almost extinct everywhere (a few birds survived in the Nelson Lakes National Park until 1968, but they were doomed here). The final species of interest was also restricted to Big South Cape, but it was a mammal, not a bird. The Greater Short-tailed Bat was one of two species in its genus, a weird small group of bats famous for foraging on the ground in the manner of shrews. It was one of only three bats (and therefore three mammals) found naturally in New Zealand. No one knows how rats got to Big South Cape Island. One had reached the island in 1955, but none were caught for several years after that. It is assumed that perhaps they came with the muttonbirders, local Maori familes who collected (and still collect) young Sooty Shearwater chicks for food. It was the muttonbirders who reported the presence of ship rats in early 1964. A Wildlife Service (later Department of Conservation, or DOC) scientist, Brian Bell, was sent to assess the situation. In April he found that the rats were at plague proportions at the north of the island, and that the four relic populations, along with other endemic species like Fernbirds, Robins, Bellbirds and two parakeet species were in decline as a result. This was at a time, you’ll recall, when there were still voices that argued that introduced species were not responsible for declines of native species (although as my introductory quote shows, not all earlier scientists were so blind). Nevertheless the Wildlife Service decided that the situation was urgent and that these species needed saving . The decision was made to translocate the birds to another predator free island. Translocation as a tool for conservation was not an entirely new idea in New Zealand. It had been proposed for Huia and Laughing Owls, but not carried out. And one early conservationist had moved many rare birds to an island, but that island sadly was within swimming distance of stoats and ferrets. The first systematic attempts to do it in the 1960s had, by fortunate coincidence, been on the North Island Saddleback, which, like its southern relative, had become entirely confined to one island. The risks of keeping all one’s eggs in one basket were on the minds of the scientists at the Wildlife Service, so attempts were made to create a second population. The first few tries failed, but in 1963 the first successful reintroduction in New Zealand had been pulled off. This expertise, gained in the less urgent task of securing the North Island Saddleback, would prove vital in saving the South Island Saddleback in the dire spring of 1964. Don Merton, one of the scientists sent down with Brian Bell to help with the translocations, described the wok capturing the saddlebacks and moving them “a breeze”. 36 saddlebacks were moved to two rat-free islands, and survived. Today the species is present on a number of islands, and has even made it back to the mainland at the Orokonui Sanctuary near Dunedin. South Island Saddleback (Philesturnus carunculatus). By Wikipedia Editor D-Rew (Released on a Creative Commons Attribution Share-alike Licence). The techniques that saved the South Island Saddleback couldn’t save the other species though. Only two snipe were caught, both of which died before they could be moved to another island. Six Bush Wrens were caught and transferred to Kaimohu Island, but the population didn’t establish, and the species was last seen in 1972. Nothing could be done for the bats. The loss of three species was a tragedy, but the story of Big South Cape Island is more important than just another sad story of loss. It was a turning point in the fight against extinction in New Zealand. It was the final nail in the coffin of theories that denied the importance of introduced species in causing extinctions in New Zealand. No one could credibly deny the link between rats and the extinctions. It provided scientists with a tool, translocation to rat-free island, which would be used many times. Until the 1990s, when it became possible to remove rats from an infected island, it was the only feasible way of protecting threatened species in New Zealand. It underlined the importance of these islands, which would lead, for example, to the purchase of Mangere to protect the Black Robin. It drove home the importance of not having single populations of species, prompting the eventual translocation of over 50 species around New Zealand. It was also the trauma that galvanized a generation of New Zealand conservationists. The most famous I have already mentioned, Don Merton, who writes in his book (with David Butler) on the Black Robin, that “[t]he threat of rats had been brought painfully home to each of the team members who had held the last of a species in their hands – then lost it – and were determined never again to witness this ultimate event”. 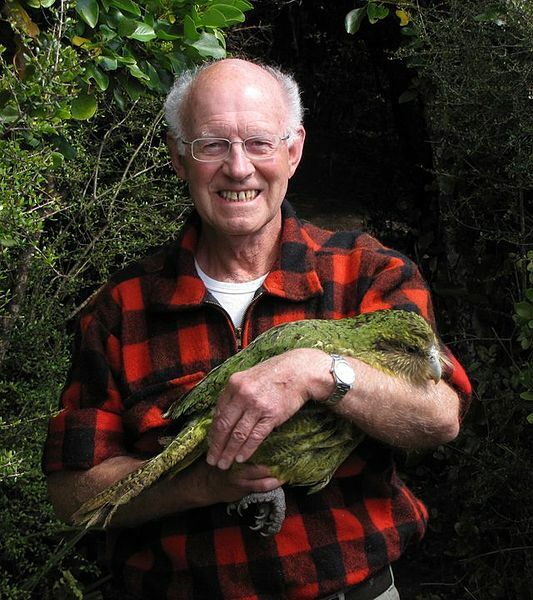 Don Merton was as good as his word, he went on to work with the Black Robin, bringing that species back from four birds (and only a single female), as well as saving the Kakapo. Others would apply the lessons of intensive management of critically endangered species to species like the Black Stilt, Forbes’ Parakeet, the Chatham Taiko, and the Orange-fronted Parakeet. It would lead to the development of the science of island restoration, and later on the creation of mainland islands. Since the last Bush Wren died no other New Zealand species has been lost. It is too soon to state that extinction is over in New Zealand. Where pest management cannot or is not applied the forests and parks of New Zealand are still losing birds at an alarming rate. Nor is it really accurate to say that Big South Cape Island was the point where conservation was born. But it was, perhaps, the point at which the tide turned. Don Merton with Richard Henry, the venerable Kakapo that passed away last week. Image by Errol Nye (Released on a Creative Commons Attribution Share-alike Licence). The muttonbirding islands of Stewart Island, of which Big South Cape Island was one, were the home of the legendary hakawai. The hakawai was a sacred (or tapu) bird that was heard but seldom seen. Its call, like that of a shell passing overhead, was often considered a bad omen. Like many birds it declined and after the 1960s the hakawai was heard no more. Although sometimes thought to be a folk-memory of the Haast’s Eagle, it seems that the fearsome hakawai was actually the diminutive and unobtrusive South Island Snipe. The snipes of New Zealand are able to create non-vocal sounds by driving air through their tail-feathers. In 2005 the hakawai returned to the islands off Stewart Island. The muttonbirders had worked with DOC to clear Putauinu Island, just 1.5 km from Big South Cape Island (now called Taukihepa), of rats. The island already had some of the South Island Saddlebacks rescued from Big South Cape back in 1964. The snipe came from the sub-Antarctic Snares Islands. Although the Snares Island Snipe is a different species, it was chosen to repopulate the islands of Stewart because it was a close relative of the extinct species, and because the Snares Islands are tiny, just 3.5 km2 in area. Such a tiny area is vulnerable to the same disaster that struck Big South Cape. Its a nice way to kill two (metaphorial) birds with a single stone. The snipe were reported to be breeding well the following year. Birding in New Zealand is dominated by absence. But sometimes its the absence of absence that you notice. i love paarits they rock!!!!!!!!!!!!!!! Those last two sentences are a very remarkable end to a wonderful post.